I write poems and songs, play a Roland FP3 keyboard or piano or an old Casio or Yamaha keyboard, and sing or speak my words. I am currently a solo performer, but have played with Bryan Miller on drums, Larry Ravenswood or Jaques Wait on bass, and Paul Collette on guitar and Anita Kozan on sax. Chainsaw to the Hard Drive - in the Future! Warning!! I have had problems with my form e-mailer....if you tried to e-mail me and I did not respond please resend your message. Sorry for the glitch! You can E-Mail me directly at futurelisa2@yahoo.com. "In her press material, Future Lisa describes Test Drive as a trip "down the path of relationship hell." That's always a good starting point for me. Add on Interesting musical colors and tight playing, and you have something special: an album that can't be classified easily. And that's a joy to these jaded ears......Future Lisa crafts music that has a familiar feel, but sounds like nothing you'd hear on a typical bland Top-40 radio station. Instead, these are more like messages from a far-off alien place. Some of the songs, such as the beautifully fractured "Repo Man", seem to haunt my dreams." Click on the Music Player link above to Listen to free clips of my songs! Come see me perform live in one of my rare shows! 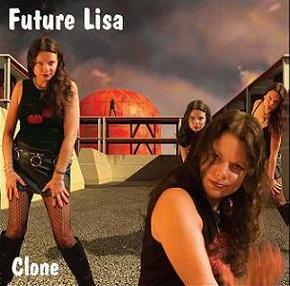 So far there are 19 Future Lisa video's on YouTube! Link to Future Lisa Videos!